The Open Door Classroom: TpT Teacher Appreciation Sale.... It's Almost Here!!! 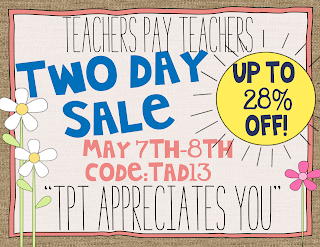 TpT Teacher Appreciation Sale.... It's Almost Here!!! Happy Teacher Appreciation Week! To show you how much I appreciate your support of my blog and TpT store, I am offering 20% off of ALL products in my TpT store for the big sale! From May 7th through Ma 8th, you can save 28% off by using the discount code TAD 13 at checkout. This is a great time to stock up on end of the year items as well as back to school products for next year! My wish list is full and I can hardly wait to snag all of the goodies that I have been eyeing lately! Customized Kindergarten Common Core Standards Posters- "Kid Friendly"
Customized 4th Grade Common Core Standards Posters- "Kid Friendly"
These posters include "I can" statement posters for ALL Common Core standards along with Science and Social Studies posters specific to your state. If you're anything like me, you'll love having a matching set of posters for all subject areas! This is a cute and easy craft for your students to make for Mother's Day! Three different message boxes, patterns, and directions are included. 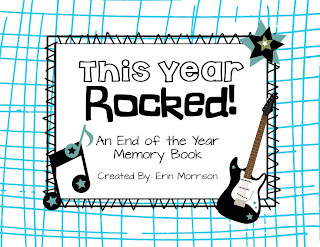 Celebrate the end of the year with your students using this fun rockstar themed memory book! There are two different versions provided- one features girl rockstars and one features boy rockstars. This book is printed like a booklet and will save you on paper! Just print double sided, fold in half, and staple in the middle. My mom was using BriteSmile but she was getting a reaction from it that a DR said to stop. Made her teeth VERY sensitive. you feel much less hungry, although not for any lengthy time unfortunately. believe that you happen to be hungry, in that situation drinking also helps. single, it really is tastier and contains many vitamins and minerals. It's really a cool and helpful piece of information. I'm happy that you just shared this useful information with us. 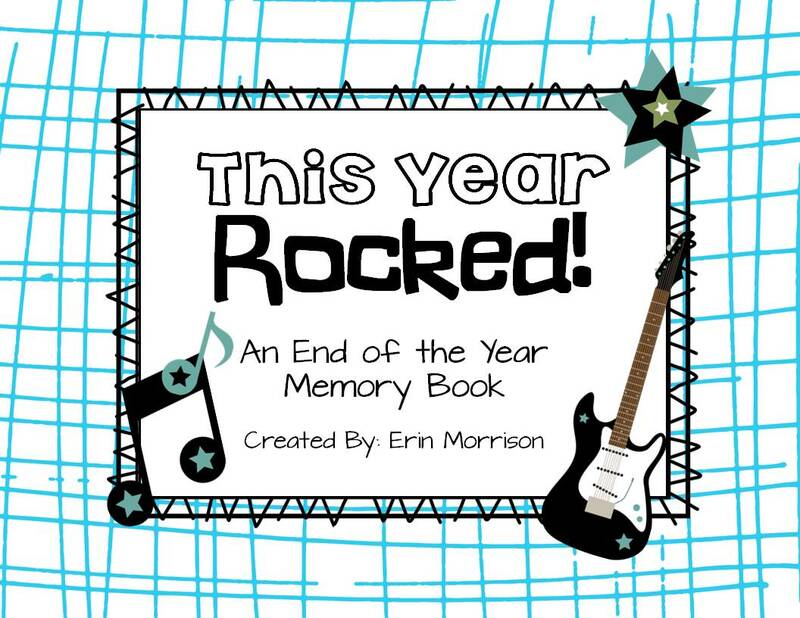 I just viewed your Year End Memory Book and I love it! Only that, it would be the most hurting part for students knowing that the school year will end. I believe more students will up crying, don’t you think? Just kidding! But your ideas are all great! I simply adore it! I just realized your blog was renamed/had a different address? Cheap JerseysGet the latest, officially licensed 2013 NFL Nike apparel, clothing, football merchandise, jerseys, New Era hats and other products for fans of all NFL teams.